The Ministry of Sound issued just one 1966 single while they were active. But they recorded several albums' worth of material within the space of about a couple of years, eventually bringing them to the notice of those who collect the small British school of '60s sunshine pop. Too, their history was quite complicated considering their small discography, as they were a studio outfit whose personnel included noted songwriter John Carter, although Carter was not the dominant member. The core of the Ministry of Sound was the duo of singer/songwriters Robin Shaw and Micky Keen, who had first performed together back in the late '50s in Mick Everly & the Prophets. By the mid-'60s they were part of the house band of Southern Music Studios, and signed to Carter's publishing company as songwriters. 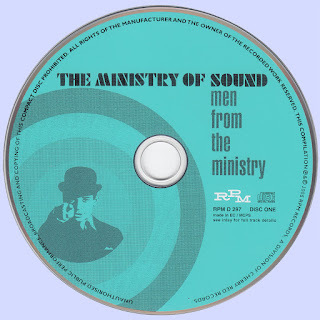 They also recorded often at Southern Music Studios as Ministry of Sound, with Carter pitching in with songwriting, guitar, and some lead vocals. Songwriter Russ Alquist also sang lead on some tracks, as well as making some contributions as a writer, with Robin Shaw handling some of the lead vocal duties as well. Top British session drummer Clem Cattini and keyboardist Barry Kingston also recorded with them. At least several dozen songs were recorded by the aggregation between 1966 and 1968, but the only two that found release were issued on the 1966 Decca single "White Collar Worker"/"Back Seat Driver." In common with much of the material with which the prolific John Carter was associated in the mid- to late '60s (with groups such as the Flower Pot Men and the Ivy League), it gave a British spin to the harmony sunshine pop of groups like the Beach Boys, the Turtles, the Association, and the Tokens, perhaps with a bit of the Four Seasons and Motown thrown in. Some of it also drew from psychedelia in the sophisticated production, use of then-advanced instrumentation such as the Mellotron, songs that explored British characters and situations, and lightly trippy lyrics. It wasn't as good as their most obvious influences, but it was very smoothly recorded and sung, with pleasant if not indelible tunesmithery. 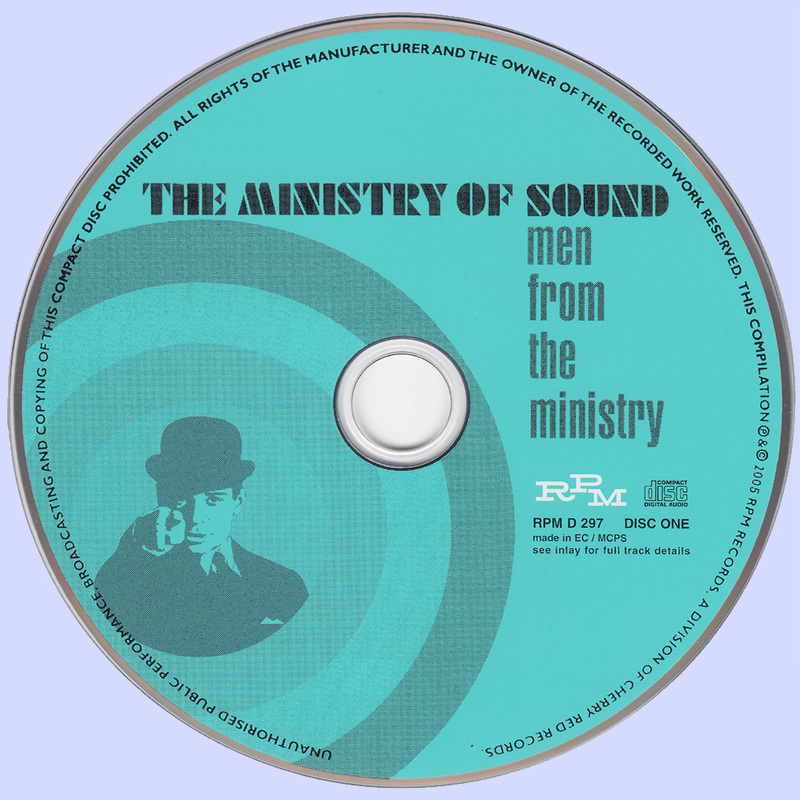 Although some of the songs they recorded were covered by British pop group Amen Corner and Australian singer Normie Rowe, the Ministry of Sound didn't get the chance to release any more records while they were active. They came to an end when Robin Shaw joined the touring version of the Flower Pot Men, with Keen, Carter, and Cattini continuing to focus on studio work. 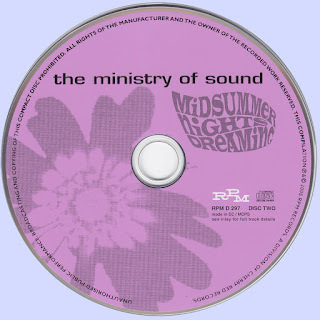 In 2005, 35 of the tracks they recorded between 1966 and 1968 were issued on the two-CD set Midsummer Nights Dreaming/Men from the Ministry, most of them previously unreleased, though it did include both sides of their 1966 single. At a glance, this 35-track, two-CD set looks like it's combining two 1960s albums by the Ministry of Sound with bonus tracks. 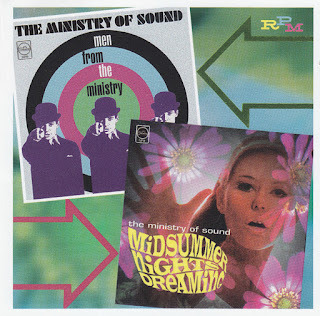 It's not; the Ministry of Sound issued just one single, and this is a witty facsimile of how their discography might have played out if things had turned out differently, complete with mock artwork for two LPs, one from 1966 and one from 1968. So almost all of these 35 cuts, all recorded between 1966-1968, were previously unreleased; the only two that actually came out in the 1960s were on the 1966 single "White Collar Worker"/"Back Seat Driver." The group did deserve better than just one official single, but nor was its output particularly deserving of deluxe treatment. Fans of John Carter, who sang and helped write some of the tracks, will be familiar with the kind of idiosyncratic spin on late-'60s harmony pop the Ministry of Sound offered, combining elements of sunshine pop, the Beach Boys, the Beatles at their poppiest, pop-psychedelia, and maybe a bit of the early Bee Gees. 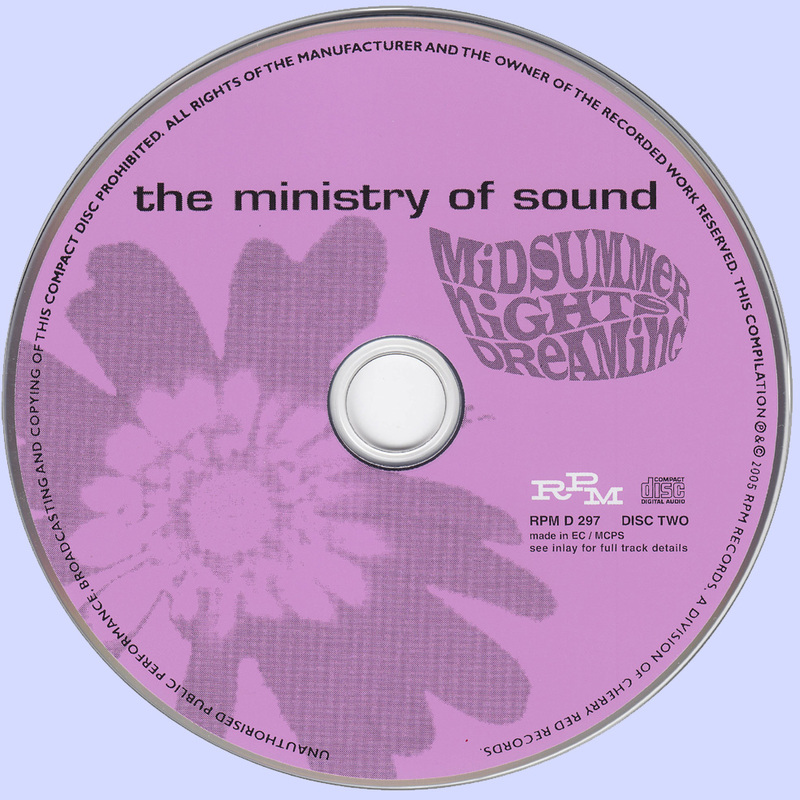 This blend is particularly prevalent on the second and better of the CDs, which groups the more sophisticated and psychedelically inclined tracks into the mock album Midsummer Nights Dreaming, with its very British lyrical blend of everyday life and fairytale imagery. It's an attractive sound, and so well produced it's hard to believe these weren't actual releases. But it's just not as memorable, hooky, or penetrating as the best work in this general field, though the melancholy "Rain Rain Rain" comes close with its slight sub-Brian Wilson circa 1966-1967 vibe. It's odd to hear a riff that almost approximates the one heard in Cream's "Sunshine of Your Love," however, on the 1966 single "White Collar Worker." The earlier-sounding material on disc one is weaker, populated by some pale attempts to marry British Invasion pop with Motown-influenced production. There's also more straightforward passable sunshine poppiness with a strong California vocal harmony streak; "Three in the Morning," for instance, sounds very much like something the Turtles or the Association might have done. The packaging is superb, with comprehensive liner notes and excellent sound.